There are a number of strategies to fight a charge of Driving Under the Influence pursuant to California Vehicle Code Section 23152(a) and California Vehicle Code Section 23152(b). Every case has its own distinct set of facts and therefore every case requires a unique plan of attack. There are a number of avenues that must be investigated and explored when mounting an effective defense to a charge of Driving Under the Influence in California. 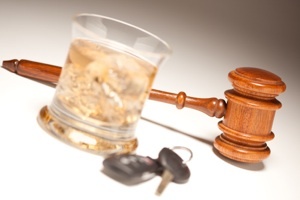 The following is a partial list of various ways to fight California DUI charges. Under the Fourth Amendment to the U.S. Constitution, a person is free from unlawful searches and seizures. For the purposes of DUI cases, this means that the arresting officer needs to have clear, articulable reasons for stopping a vehicle, for investigating someone for DUI and for ultimately arresting and detaining the suspect. The method of challenging probable cause to stop or arrest a defendant is through a suppression hearing pursuant to California Penal Code 1538.5. If the stop or arrest is viewed to be flawed, the evidence produced by this faulty arrest will be suppressed and the case will be dismissed. In many cases, police officers may exaggerate or outright fabricate reasons to justify stopping a vehicle. Officers must have a probable cause to justify a vehicle stop. This justification is usually a traffic violation of the California Vehicle Code such as speeding, unlawful lane changes, or running traffic lights. In today's modern society, video cameras and recording devices may prove that the officer did not have probable cause to pull a person over. With the use of this evidence, a person can be cleared of the probable cause for the stop, and then the breathe or blood results, no matter how high, are inadmissible. Additionally, an officer must be able to articulate the various factors that led him or her to suspect a driver of being under the influence of alcohol in order to justify their arrest. This is usually takes the form of officer observations, field sobriety testing and breath alcohol testing using a Preliminary Alcohol Screening ("PAS") device. There are flaws inherent to each of these methods of testing and such flaws may prove fatal to the prosecution's case. If you are over the age of 21, you are allowed to drive a vehicle with alcohol in your system, as long are you are not "driving under the influence" or "driving with a blood alcohol level of .08 or higher." Because it takes time for alcohol to enter the bloodstream and affect the brain and body, one can drive a vehicle while under the limit but later have a reading of .08 or higher due to a rising blood alcohol. A good argument for a rising blood alcohol may be made in instances where the blood alcohol content reading on the Breathalzyer is significantly higher than the earlier reading taken during the investigatory phase using a PAS device. In such instances, a prosecutor may be willing to reduce charges or even dismiss a case outright, if they are unable to prove the elements of the case. The PAS device and other measuring tools of blood alcohol content in the breath are intended to measure alcohol content in air collected from the deep lungs. However, in certain situations "mouth alcohol" can interfere with testing and lead to inaccurate reads. This is common in individuals who suffer from Gastroesophageal Reflux Disease ("GERD"), acid reflux and heartburn. Additionally, the use of mouthwashes or medicines containing alcohol may interfere and provide faulty results on a PAS test. In such cases, it can be argued that the defendant did not have an elevated blood alcohol content and any reading was corrupted by the presence of mouth alcohol. When determining a suspect's blood alcohol content, law enforcement agencies rely on various tools that can detect levels of alcohol in a person's blood or breath. As anyone who has every owned an appliance or computer can attest to, such machines are not flawless and can malfunction. Furthermore, human error may render the results of alcohol testing null and void. All PAS and Breathalyzer devices must be calibrated and verified for accuracy regularly and those records can be made available for inspection. PAS devices are notoriously inaccurate and the results on one can vary with the weather and even with how the device is held by the operator. If one of these devices did not function properly, a prosecutor may consider a reduction in charges or outright dismissal. If a blood test is taken, there are many ways to contest the results. The chain of evidence is important to show that the blood tested came from the right person and was not tainted. Additionally, a defendant can request a blood split of the retained sample and have their own expert conduct testing. Because of the varied and often complex defenses available to people charged with DUI, it is crucial that you have an effective and knowledgeable California DUI attorney representing you. Attorney Michael Kraut is a former deputy district attorney who will is skilled at mounting effective defenses to DUI cases. His hard work on behalf of his clients has led to cases being thrown or charges being significantly reduced. For more information about California DUI defenses, and to schedule your free consultation, contact Michael Kraut at the Kraut Law Group. Mr. Kraut can be reached 24/7 at 888-334-6344 or 323-464-6453.